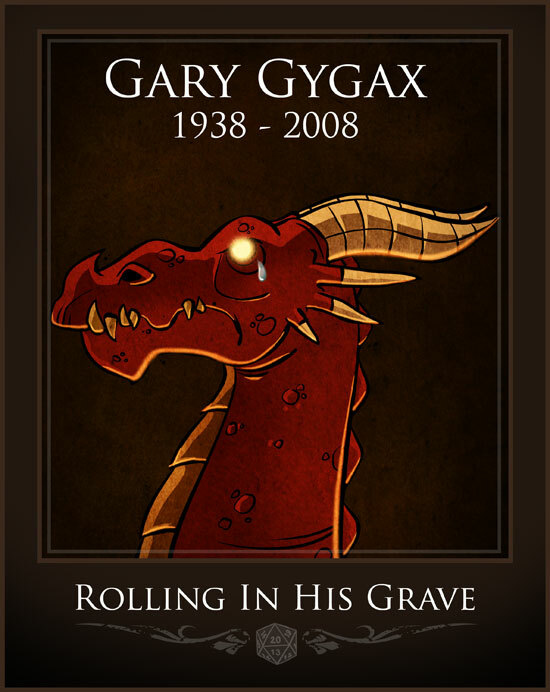 Most of the people who care probably already know this, but Gary Gygax, co-creator of Dungeons & Dragons, died Tuesday. Over the last couple days, some of the webcomics I read have been paying homage to Gary. I was introduced to DnD about four years ago in college by a friend who lived in my dorm. Over the years I've moved once, and the size of our group has changed drastically as new people learn the game and others get fed up with it or move away. Nowadays we have about five regulars, including Craig and Steve from this site, who get together once a week to continue playing. And for the record, I do plan on trying 4th Edition later this year.